15kilometers from Pokhran town in Jaisalmer district of Rajasthan, a small village named Ramdevera is the final resting place of Baba Ramdev. 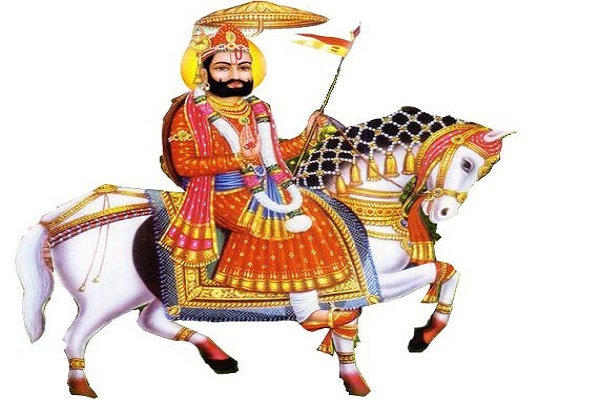 Popularly known as Ramdev Shah Pir or Baba Ramdev, is one of the most revered Hindu folk deity of Rajasthan. 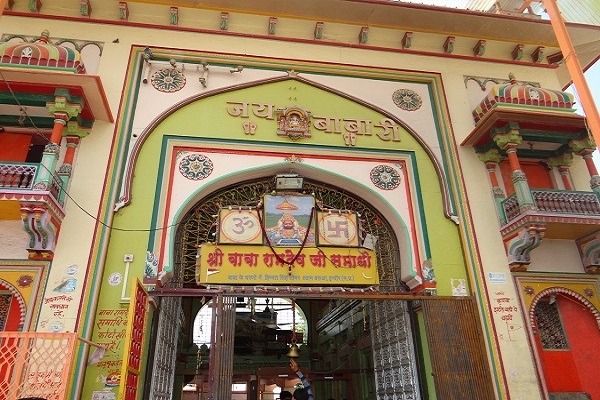 The samadhi sthal of Ramdevji was originally built by Maharaja Ganga Singhji of Bikaner. Today, its one of the most visited holy place in Rajasthan. Baba Ramdev's followers consists of Hindu, Muslim and Sikh families, most of whom worship Ramdevji as their kul devata. Ramdevji is also the chief deity of Meghwal sect of Rajasthan. 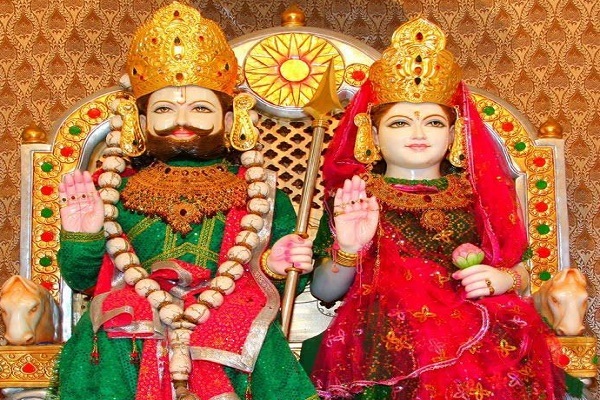 As per the legend, Ramdevji was born in 15th century as lord Vishnu's reincarnation to the king Ajmal and Queen Minaldevi of Pokaran. The child had miraculous powers which he displayed at very early days of his life. One legend says, that he has converted a wooden toy horse covered with a cloth into a real horse which he rides for rest of his life. In another incident, 5 pirs of Mecca visited baba Ramdev to test his miraculous powers. When Ramdevji offered them food, they mentioned that they can eat food only in their own utensils which were left behind in Mecca. Babaji asked them to turn back and look in the sky as the utensils arrived by flying there. Greatly impressed by babaji's powers, the 5 peers gave him the name Rama Shah Peer and decided to spend last days of their lives in Ramdevera. Today, we can see the final resting place of 5 pir near Ramdevji's samadhi in Ramdevera. Throughout his life, Baba Ramdev worked for upliftment of poor and less previleged people in society. He took samadhi on shukla Ekadashi of Bhadrapada month at the age of 33 years. 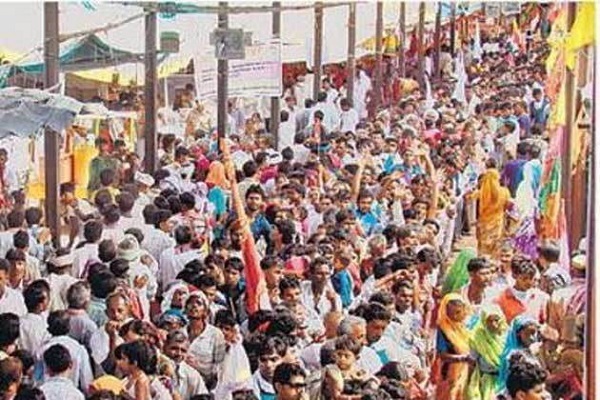 Lakhs of devotees gather at Ramdevera every year to worship the saint and get blessings. Ramdevji is believed to bless seemingly impossible wishes to his devotees such as andhon ko ankhe, langdon ko tange. Ramdev Jayanti is a public holiday in Rajathan and is celebrated on 9th day of shukla paksha of Bhadrapada month every year. This falls in august to september month. Darshan Timings: The temple opens at 5am and closes in late hours in night. During the fair, the temple remains open whole night. By Road : Taxi service is available from Jaisalmer. By Train: Jaisalmer Railway station is well connected with major railway stations in the country.